Not all of these events are ENP related, but we keep this calendar up-to-date so you can learn about what is happening around town as they relate to the Christian community or local non-profits. If you want to add anything to this calendar email info@everyneighborhood.org. To impact Fresno you have to love Fresno. To love Fresno you have to know Fresno. To know Fresno you have to explore Fresno. This project is birthed from the many stories and people Every Neighborhood Partnership (ENP) has worked with over the years. We wanted to tell their story. We want you to know just a few of the thousands of people in our city of good faith and good will that are working hard to love and serve our city. ENP maintains and utilizes numerous maps. We love maps because they pull us out of our little street to see things at a larger level. Below you will find several maps we use and recommend. 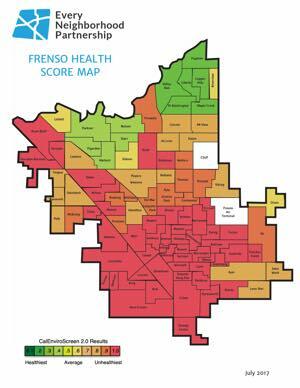 Including health outcomes, local food programs, churches, asset maps, and our ENP map which includes various layers.